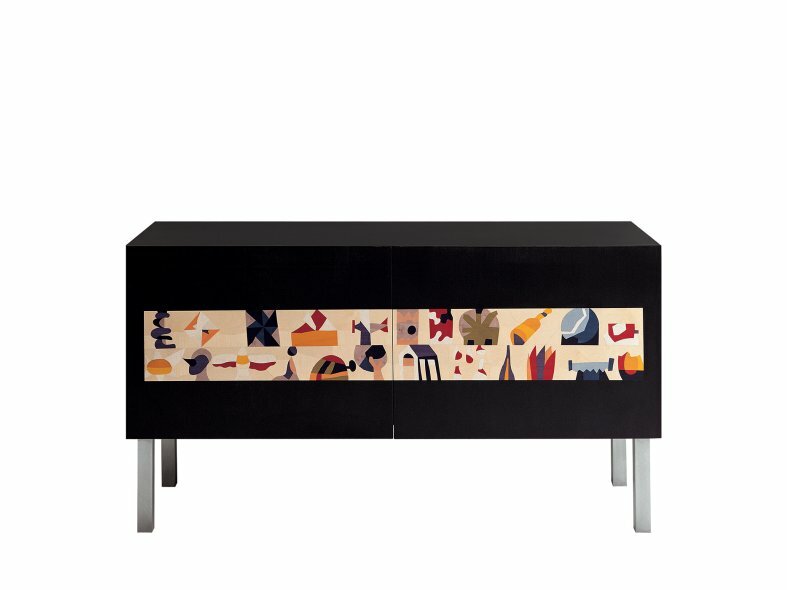 Experimental and pleasing to the eye, this dark sideboard features a design by Italian artist Ugo Nespolo. The sideboard is handcrafted by the skilled artisans of Laura Meroni using multi-ply poplar wood for the structure, which is then covered in natural maple wood veneer. 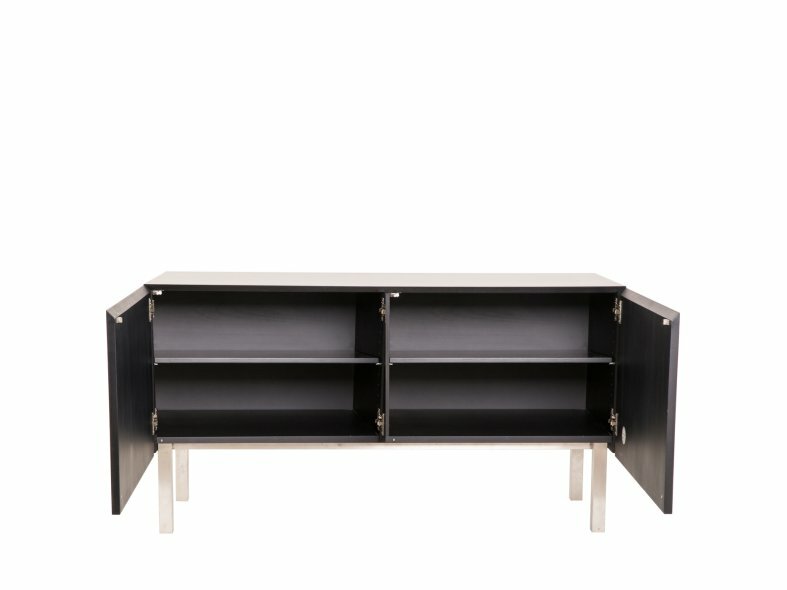 When open, the sideaboard reveals adjustable shelves and an adjustable base worked from brushed stainless steel. Limited Edition.